S&K Floral Expressions started out, in 1993, primarily as a silk flower business. Successfully serving the needs of both private and corporate customers, the decision to expand and include fresh flowers seemed natural. The business evolved into a full-service wedding florist service providing arrangements for hundreds of happy couples on their special day. Unique in its background, S&K Floral Expressions carefully views the entire scope of your wedding to ensure that all the details come together the way you want them. Stephanie has over 35 years of expertise in the flower business, and knows how to assist, listen to, and work with clients as they make decisions about flowers and arrangements for their special event of a lifetime. 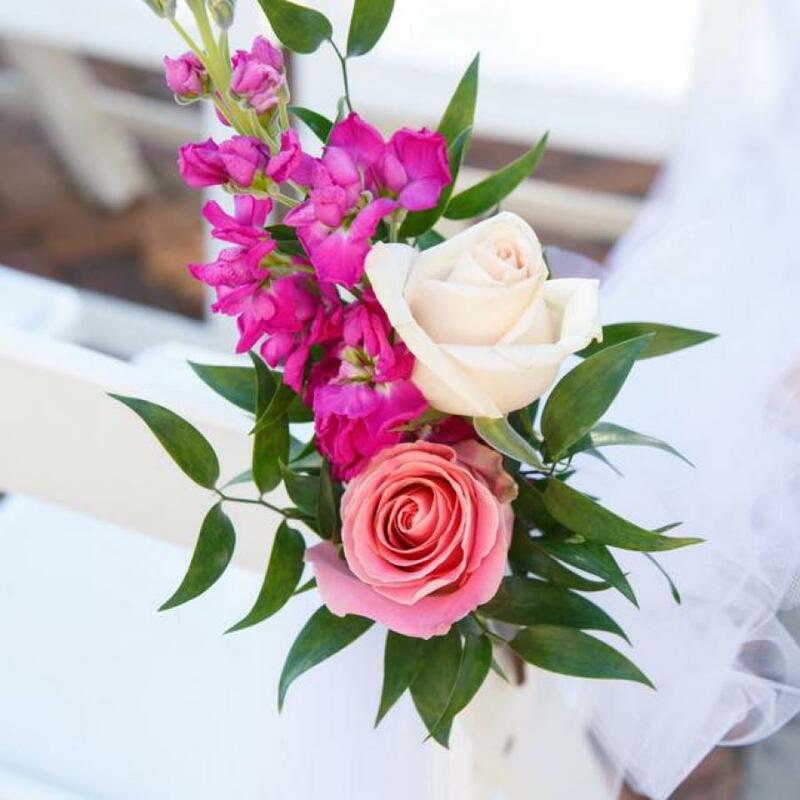 SK Floral Expressions will provide you with creative floral designs that make your event creative and memorable, incorporating your own personal touch, style, and preferences. Every detail of your wedding - from bouquets and corsages to the ceremony through the reception - is important and will be given personalized attention. Stephanie is personally involved in every aspect of the business. From your first appointment right up to your special day. She is there when you select your flowers, will make the arrangements herself, deliver them, and set them up. This personal attention eliminates misinterpretation and misunderstanding. It's your special day and all your desires, hopes, and dreams should be fulfilled. Her goal is to help you realize the wedding you've always dreamed about. For the floral look you imagine, S&K Floral Expressions is the right choice for the wedding of your dreams.